Do you care about the Big Apple’s aquatic neighbors? Sign up for NY seascape updates. 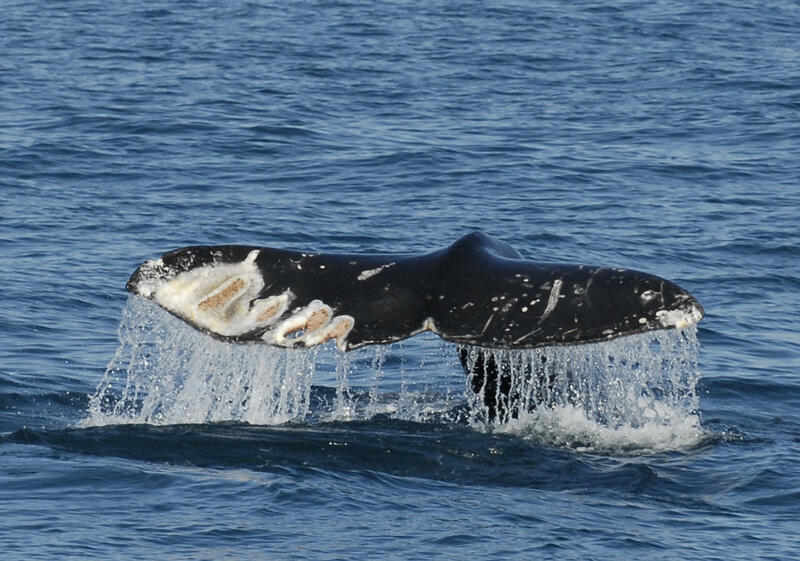 A gray whale that bears the scars of a propellor. Roughly 90 percent of global trade happens via the sea. In 2000, for the safety of all those ships, the International Maritime Organization adopted the Automatic Identification System (AIS), giving boats, including those in the New York area, a way to identify and be identified by others. But could the system do even more? "AIS now provides a rich source of data to understand vessel traffic across the entire globe–even in the most remote areas of the open ocean," said Dr. Martin Robards, Director of WCS's Arctic Beringia Program. "This system also has the potential to help us minimize the negative effects of shipping on wildlife." Check out an interesting study by Robards and others on just how it could do that. "AIS can be used to identify regions where shipping lanes and important marine mammal habitats and migrations overlap," explained Dr. Howard Rosenbaum, Director of WCS's Ocean Giants Program, "as well as areas where ocean noise may be impacting acoustically sensitive species."